From small beginnings in 1974 as a local cinema and university event, Film Fest Gent has grown yearly in stature and is now recognised as one of the major destinations for the film industry. A vital component is the celebration of film music in the shape of the World Soundtrack Awards which honours the very best composers at work in the world of cinema. This year, renowned Hollywood composer Alan Silvestri will be lauded for his outstanding contribution to screen music in a career which extends over forty years. With over 100 film and TV credits he has created memorable music for many of the most iconically revered and profitable films of the modern era including Back To The Future, Who Framed Roger Rabbit, Forrest Gump and The Polar Express. 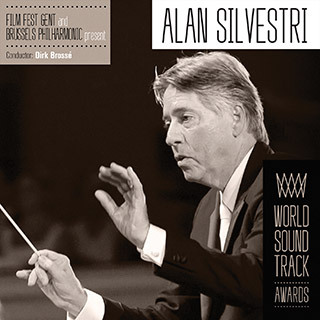 This release by the Brussels Philharmonic conducted by Dirk Brossé celebrates his most famous works as a precursor to the gala performance of his music at the festival by this distinguished orchestra.